Asbestos Abatement Management is the identification of potentially hazardous and toxic waste as they pertain to human health. They are employed on construction sites, typically for demolitions and building remodeling, and in disposal plants. 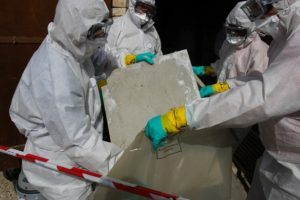 What Does an Asbestos Abatement Manager Do? During the 1960s-70s in North America, a large number of buildings were built utilizing a material called “asbestos”. Asbestos is a fire-resistant silicate material used in wall linings; it had other uses too. During the 1970s, research revealed that it could have a bad effect on human health. The fibers have carcinogenic properties, and it has been known to cause mesothelioma (a specific type of cancer), lung cancer and asbestosis. As a result, it soon fell out of use as a fire retardant. However, there are many buildings still standing - most of these are safe in their present state. The problem is when the owner(s) wish to demolish the building, remodel it, or extend it. This is where an Asbestos Abatement Manager comes in. He or she is tasked with ensuring that the buildings and buildings management follow the correct procedure in asbestos mitigation - offering advice, putting equipment into place and ensuring good practice. They also handle the disposal of other toxic materials such as lead. Where Does an Asbestos Abatement Manager Work? Typically, they will work as freelance consultants or on a per-contract basis. For those who are in regular employment, they will mostly work in construction. This ongoing industry will always need people with qualifications in industrial toxicology. They may work on building sites for industrial, commercial or residential sites - though most buildings using asbestos in the 1960s and 1970s tended to be commercial or public properties due to the high volume use. They may work in an advisory capacity or on-site during construction work. 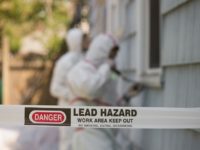 Advisory work may include recommending safety apparel and industrial equipment such as vacuums that remove asbestos from the air and which chemicals and special scraping appliances to use to remove paint from walls when it contains lead. 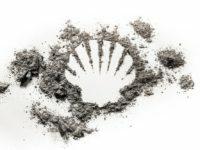 They can also work in specific waste management and disposal at plants dedicated to accepting and neutralizing such material, either by diluting, burying or recycling. Chemical processing is a hazardous job and pays higher than most other construction jobs. 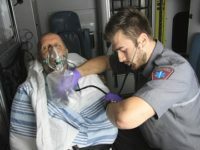 Most are full time employees and some, where employed by Federal government for disaster relief, can be expected to be on call or be available for overtime at a moment's notice. What Is the Average Asbestos Abatement Manager Salary? Asbestos Abatement Management is a division of hazardous material removal technicians. Some specialize in toxic materials in the manufacturing process, others in construction, and others still in disposal of radioactive material. The average salary across the country for this job area is $39,690 or $19.08. The highest paid jobs are at government level, typically in the region of $51,000. This will be tied to state and Federal law regarding pollution mitigation, typically for disaster management authorities like FEMA. If an asbestos-containing building collapses following a natural disaster, these people will be critical to public health. Waste management jobs pay $39,590 and construction roles $36,580. Use the search box below to find all the asbestos abatement manager job listings in our job board. Maintains 100% ‘safety standards and accountability' in all areas of mandatory/regulatory requirements. What Is the Job Demand for Asbestos Abatement Manager? Between 2014 and 2024, job demand is expected to rise by 7% - the mean average across all industries. As the majority of jobs are tied to construction, how many are actually taken on will depend on the economy and the growth of the construction industry. Other factors include the extent to which older asbestos and lead containing buildings are redeveloped or demolished. State and Federal government will always retain employees with this experience in the result of the need for clean-up work. What Are the Education Requirements to Become an Asbestos Abatement Manager? For most entry-level jobs, a High School diploma is all that will be needed. However, they will need to complete on-the-job training that will require education in Occupational Safety & Health Administration; once complete, they will (in some cases and in some states) need to be fully licensed before they can work with hazardous materials in practice. Most of the training will take place on the job. A degree is not necessary in most cases, however a background in chemistry or public health would be helpful for more advanced roles should the candidate wish to seek promotion or executive roles later. What Kind Of Societies and Professional Organizations Do Asbestos Abatement Managers Have? Asbestos and hazardous material abatement is a critical area of construction and pollution abatement. There are several useful resources and organizations. EPA: The Environmental Protection Agency is the largest environmental organization of its kind in the USA. Part of their remit is to oversee asbestos mitigation and provide information to home owners and construction managers with information on mitigation. AIHA: The American Industrial Hygiene Association is the largest body of its kind in the world. Formed in 1938, they are a professional organization dedicated to maintain the highest possible quality standards for industrial hygiene - including the treatment of toxic materials. ARCA: The Asbestos Removal Contractors Association is Europe's largest association for asbestos removal professionals, ARCA is based in the UK and represent the largest body of people who work with toxic materials. They provide training courses, information and a large resource of accredited personnel listed.